Retellings of classics have the potential to be spectacular or disastrous. Alice in Wonderland has been tried before - though I confess I haven't read the written form of such retelling but having watched a few adaptations on TV I came away sorely disappointed. Like the big screen never could justify that mad gleam in the Hatter's eyes - as matched perhaps by the twisty imagination of one such as Lewis Caroll. And with this book, Alice - Christina Henry takes a swan dive into that deep dark rabbit-hole and definitely emerges a winner! 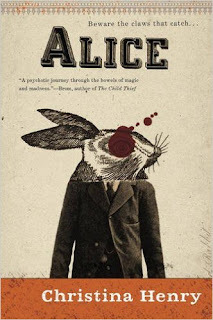 A book that is dark as sin and racy as hell on jet-fire, Alice is a masterful and disturbing retelling of the classic laced over with many layers of darkness and intrigue. Magic is unexplained as in a fairy tale - but one for kids, this is not. It's a fairy tale gone horribly wrong - more a fantastical thriller set in a madman's darkest nightmarish setting called the Old City, a far cry from the Wonderland. Dawnbreaker, the third book in the Legends of the Duskwalker series by Jay Posey from Angry Robot was a much awaited book, personally at least. Marking an end to this intense and satisfying series where the world is quivering in the shadow of an unknown apocalypse, reduced to broken buildings and grey concrete ash and pockets of humanity huddled in fear of the dark. September Books I'm looking forward to! September looks to be dishy month in terms of some great books coming out in SFF Genre. I've listed a few on my most-wanted list, top of the TBR pile. Had recently run a giveaway contest courtesy the wonderful people at Angry Robot for the entire bundle of 3 books in the Legends of the Duskwalker series!! Congratulations to the winners! Your books will soon be on its way - and Many thanks for all the participants!! I normally wouldn't have picked up a book like Phoenix Island. Or the sequel, Devil's Pocket. These are usually the kind of books that skip my radar. Which is why the reader-feed from Netgalley is definitely a blessing. Devil's Pocket was released on Aug 4th and we're dragged headlong back into the brutal raw world of Carl Freeman where violence is a way of life - first introduced with the phenomenally well written Phoenix Island. 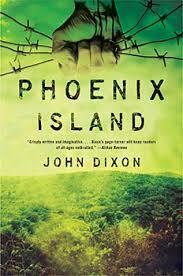 So I first got hold of Devil's Pocket and then the good folks at Simon and Schuster (Gallery Books imprint) were giving away Phoenix Island for a lark ($1.99 e-book sale) and I jumped for it. While the first book is the inspiration behind the CBS Show, Intelligence ( I admit I haven't seen that one), the sequel is prime material for a summer blockbuster. A darkly intelligent and ruthlessly violent version of Fight Club perhaps? Angry Robot recently came out with the Dawnbreaker, the last book in the Legends of the Duskwalker series by Jay Posey. 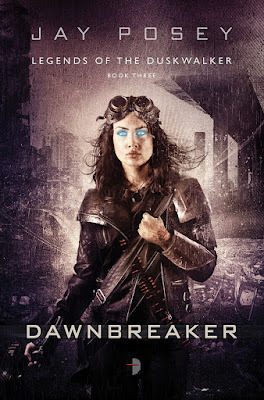 I LOVED Three - and while Morningside Fall was a bit of a let-down, I am so looking forward to finish this exciting series - with the Dawnbreaker. 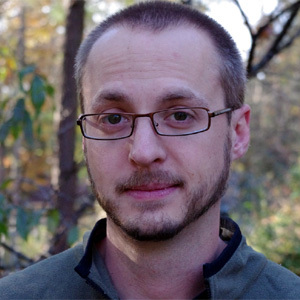 The review is up next - but in the meanwhile, we got chatting with Jay about the inspiration behind the series, his favorite characters and the books that influenced him. Hi Jay! Welcome to Smorgasbord Fantasia. Thank you for taking time out to connect with me and my readers. [Jay P.] Hi, and thanks so much for having me! 1.Legends of the Duskwalker finally comes to an end, huh? Congratulations! How do you feel now that this series is completed? Jay Posey's concluding book in the acclaimed trilogyLegends of the Duskwalker,Dawnbreakerwas released on Aug 4th by Angry Robot. Now Jay Posey's debut,Threewas a crack read and a massive hit among the readers when it launched in 2013 - this was followed byMorningside Fall, a slightly lesser intense follow-up to the tall act of the first book. Nevertheless, the whole series has this most amazing world-building going on for it - Add to it some really slick writing featuring enigmatic heroes, colossal conflicts and stunning action set-pieces, it is definitely a must-read! Two bundles of the entire series ( Three, Morningside Fall, Dawnbreaker - Legends of the Duskwalker series) open to all International Participants! 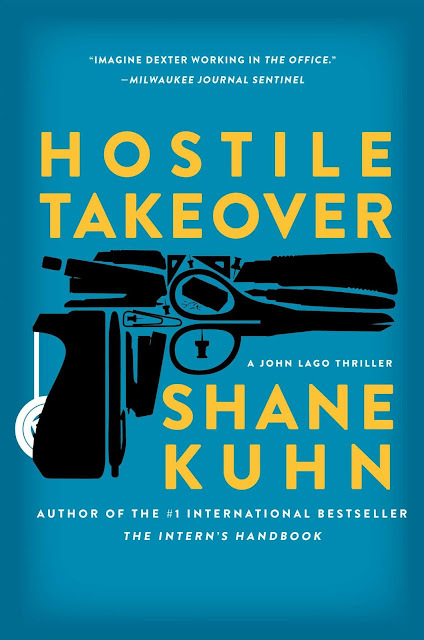 Hostile Takeover - Shane Kuhn's boisterous follow-up to the wildly popular The Intern's Handbook - apes the first book, a first class replica in every sense. Replete with Hollywood action movie cliches and snarky tongue-in-cheek references, our favorite intern John Lago is back to doing what he's best at. Shooting his way through any situation - this time though, he's blazing his way out from a matrimony. And he just might have met his match in his wife, Alice. 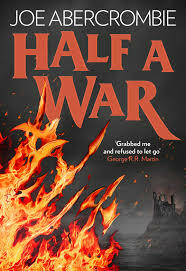 Back from the dead after that hyper-violent climactic fallout at the climax of the last book ( and their last encounter! ), she's a female Lago in every sense - out-thinking and outfoxing our hero in every Machiavellian schemes he draws up. So is Hostile Takeover any good? The concepts are the same old - ripening like pungent French cheese and smelling just as bad. Play the intern to get up close and personal to the top dog and then smoke him/her.